Osmosis MD Clarify clears acne, normalises oil production, shrinks pores, increases skin’s immune support, remodels scarring, hydrates, calms inflammation, protects skin from UV rays, restores the epidermal barrier, and restores dermal thickness. Osmosis MD Clarify is a natural serum that provides your skin with a host of benefits. 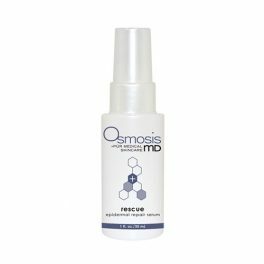 Osmosis MD Clarify serum normalizes oil production, calms the skin and restores the epidermal barrier, helping with hydration and clearing the skin of congestion and acne. It even restores the thickness of the dermal layers and reduces the size of pores. 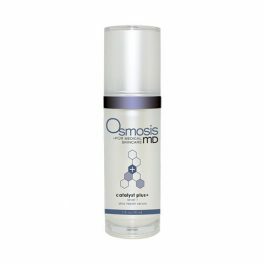 A key aspect of this product is Niacinamide. This compound is a fusion of nicotinic acid and Vitamin B3, both of which are great for increasing the blood flow to the area and changing the pH of the surface of the skin, both of which are essential to combating acne and congestion. This product is great for boosting the skin’s natural immunity system. It can be used in conjunction with MD Replenish, which will increase the antioxidant value, making your skin even stronger. 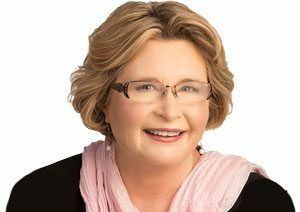 *Please consult your Doctor prior to using a Vitamin A product whilst pregnant or breastfeeding. Water (Aqua), Niacinamide, Phosphatidylcholine, Glycerin, Mandelic Acid, Epilobium Angustifolium Flower/Leaf/Stem Extract, Chlorella Vulgaris Extract, Lactic Acid, Chamomilla Recutita (Matricaria) Flower Extract, Cucumis Sativus (Cucumber) Fruit Extract, Olea Europaea (Olive) Leaf Extract, Ocimum Basilicum (Basil) Leaf Extract, Artemisia Umbelliformis Extract, Hyssopus Officinalis Extract, Retinal*, Citrus Paradisi (Grapefruit) Peel Oil, Melaleuca Alternifolia (Tea Tree) Leaf Oil, Rubus Chamaemorus (Cloud Berry) Seed Oil, Beta-Glucan, Rosmarinus Officinalis (Rosemary) Leaf Oil, Eucalyptus Globulus Leaf Oil, Lonicera Caprifolium (Honeysuckle) Flower Extract, Lonicera Japonica (Honeysuckle) Flower Extract, Cyclodextrin, Xanthan Gum, Pentylene Glycol, Sodium Hydroxide, Benzyl Alcohol. 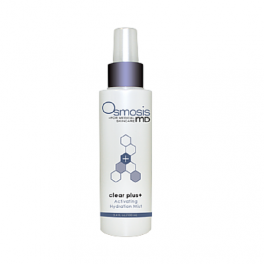 Shake lightly and spot-treat acne lesions daily for 4-8 weeks, applying to clean damp skin. Follow with your moisturiser. After initial spot-treatment add 1-2 pumps to your morning and evening routine after cleansing. We always recommend applying sunscreen during the day to protect skin against sunburn and premature ageing. Recommended for blemishes and oily skin. Either use all over face or spot treat. Ideal to use with Rescue serum. Please consult your Doctor prior to using a Vitamin A product whilst pregnant or breastfeeding.